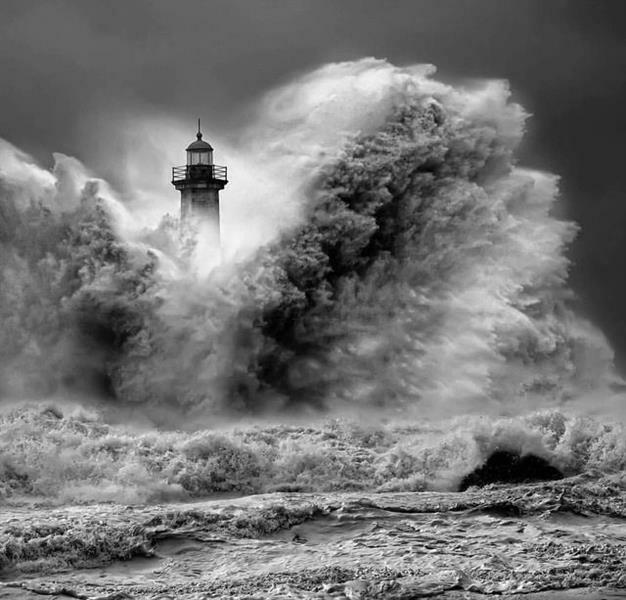 Of all nights, strong waves crashing into the rocks hiding the lighthouse tower. When she heard someone singing a despairing song. The voice gets louder, overpowering the sound of the waves. The waves started to calm, the mist subsides. A lady sitting by the rocks. Her long black hair, blowing by the winds. "I am waiting for you, my love. Come to me in this lonely sea by the moon." She can clearly hear her enchanting voice, singing. "It's dangerous in there!" She walks towards her. Only to realize it's a mermaid statue. "My mind, playing tricks on me again."